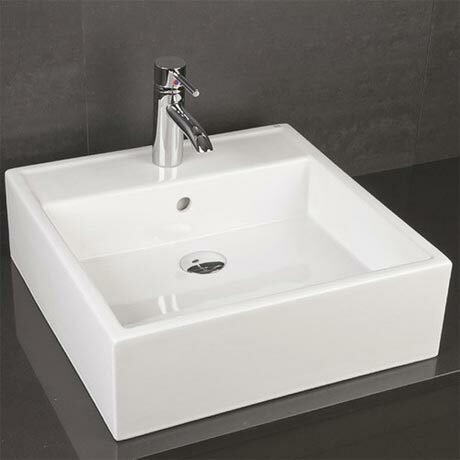 The Nova 46cm sit on basin from RAK Ceramics, designed and manufactured by the world's leading ceramics company RAK. Available in a choice of 1 or no tap holes (1 tap hole pictured). designed to be sat upon a counter top.